There is no doubt about it that camping is good for the soul. However, it might not always be as good for your back and that’s why products like the Kyboka are designed. Although, sometimes it is unnecessary and you just feel like backpack camping which requires lightweight equipment. Luckily for us, a decent lightweight backpack burner is no longer a problem with the Etekcity Ultralight Portable Backpack Stove. Designed to be lightweight and durable, this burner by Etekcity is constructed out of a specialized alloy that reduces weight and can still stand high temperatures. Taking portability and convenience to a new level, the Etekcity Ultralight Burner is collapsible and comes with a case that’s small enough to fit into your pocket. The alloy that we are talking about is a specially engineered aluminum and stainless steel alloy that has been shown to be able to handle high temperatures as well as being strong enough to take a lot of weight while the stainless steel reduces the chance of tarnishing. For portability, the Etekcity Burner was designed to be collapsible which allows for more compact packing. It is small enough to fit in your pocket when collapsed. Check out the video below. It might be tiny but it sure does pack a punch. 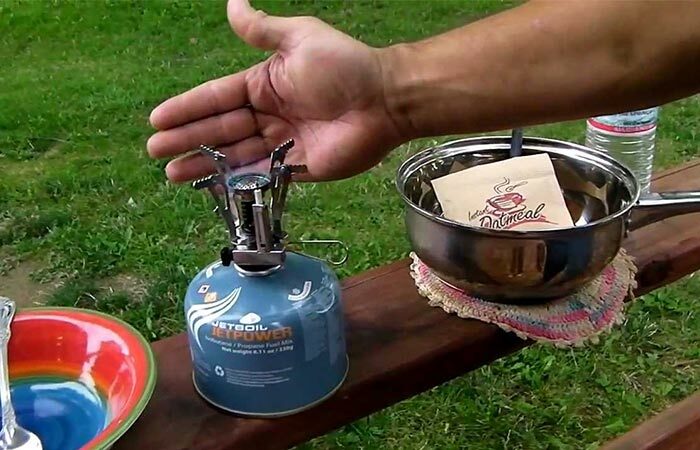 The flame is completely adjustable and can boil 1-liter of water in 3.5 minutes or less. This burner is also special in the fact that it adheres to the “Leave No Trace” principles that were set by the US Forest Service, National Park Service and Bureau of Land Management. This means that this burner burns completely clean with no soot or debris left behind. 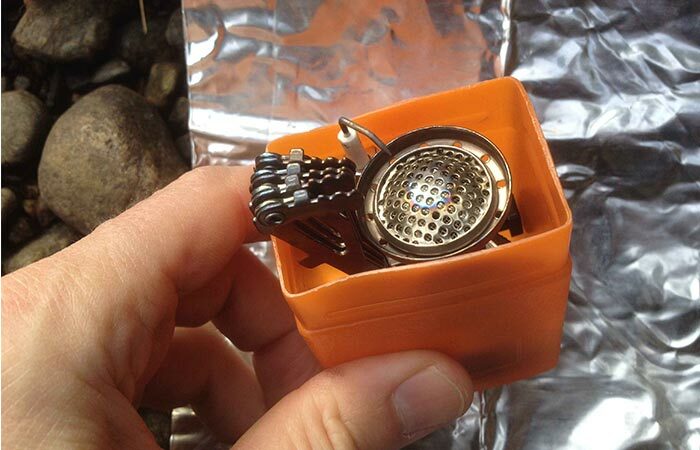 To ensure that you have optimal control over the flame, the Etekcity features an adjustable control valve and to minimize any struggles that you might have on your camping trip, this burner features a broad compatibility and is compatible with any 7/16 thread single butane/ butane-propane mixed fuel cannisters. To top it all off, lighting it is extremely easy since it has a built-in piezo lighter.